The Absolute Best Fish Ever! The Absolute Best Fish Ever…that’s quite a statement, isn’t it? One might think The Goddess is out of control, lost her mind perhaps and then, you taste this fish and the heavens open, angels sing and the world will never be same again. Oh, yes…did I mention this takes about 10 minutes to prepare? Now, I DO have your attention! This is one of The Latin Lovers favorites. If you never make any recipes from this blog, make this one. You will be glad you did. It’s just so easy, it’s almost impossible to mess it up and it just tastes so good. You’ll want a fish that’s not too fatty; whitefish works very well. I’m using snapper tonight, but I’ve used cod, tilapia, turbot, sole, haddock and swai successfully. Most of the time, fish filets taper at their tail-end. In order for fish, or anything else, to cook evenly, the piece you’re cooking needs to be even. Therefore, simply fold the very tail end under about 2-3 inches, or until the piece will be an even thickness throughout. 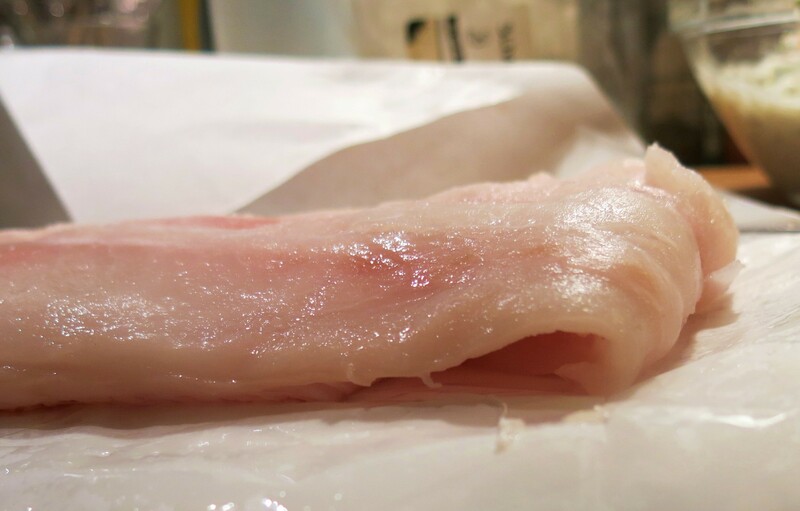 When the piece is cooked, no one will notice the fix, but they will notice if the fish is dried out on one end and partially raw on the other. Place filets, in a single layer, close together, on a lightly oiled, foil-lined cookie sheet. Brush with melted butter. 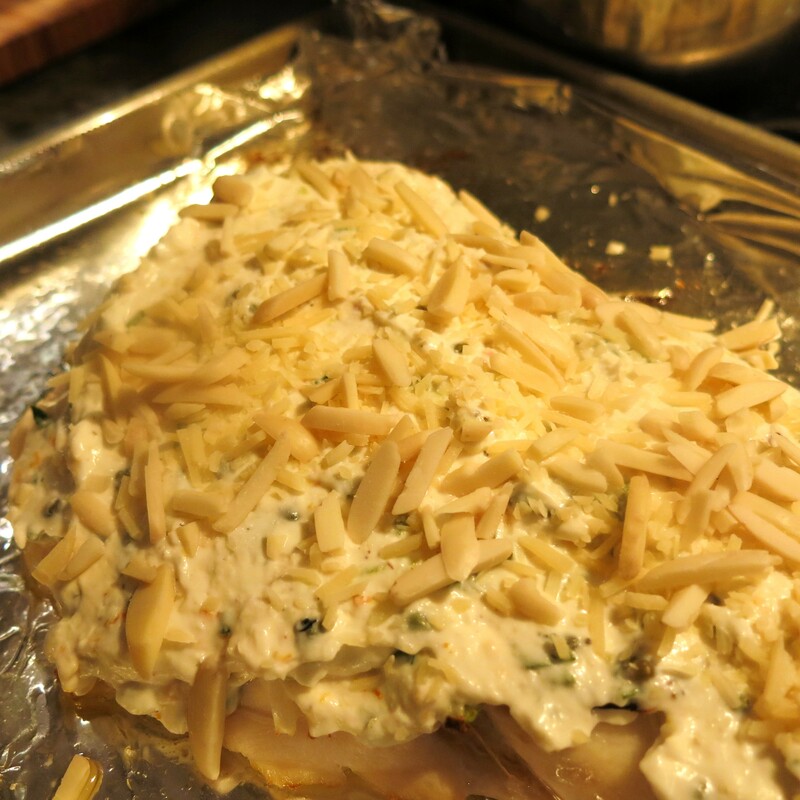 Broil fish 5-8 minutes. The fish should only be about 3/4 of the way cooked. 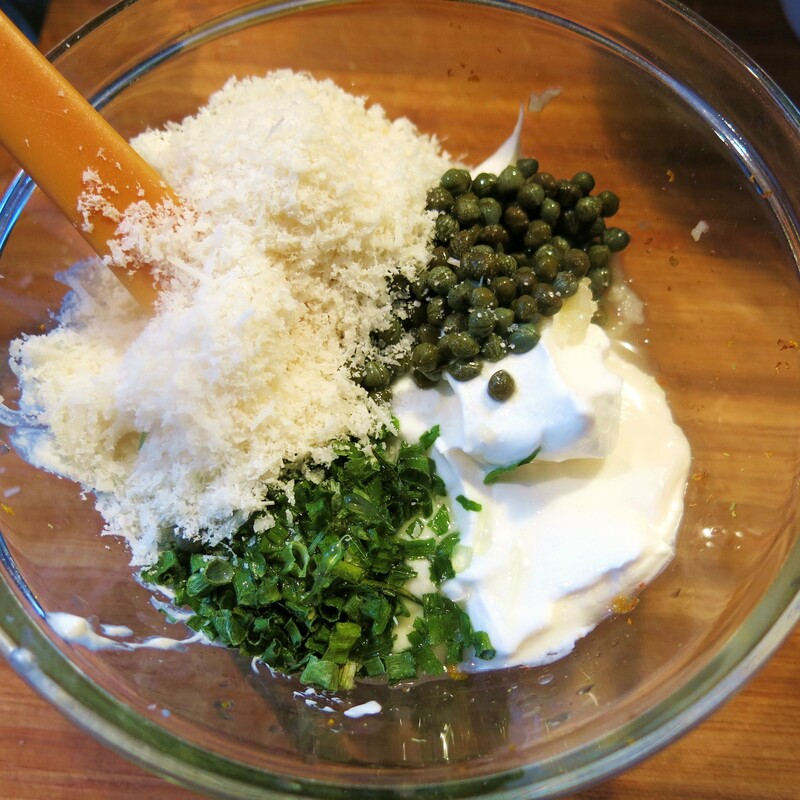 Mix topping ingredients together (I prefer to do this well ahead of time…even the night before) and spread over fish. Return to broiler and broil 1 1/2 minutes longer or until cheese is bubbly and beginning to brown around the edge. Watch closely, as the topping browns quickly and can burn easily. Serve immediately. After you put the topping on the filets, you can sprinkle nuts (sliced almonds, chopped cashews, hazelnuts, pecans, etc.) or shredded coconut on top, and then continue with the recipe. COOK’S NOTE: My personal favorite is to use orange, lemon and lime zests, frozen orange juice concentrate, chives and scallions, capers and parmesan with a bit of Swiss. Mix that all together, then follow the recipe (sometimes I put slices of tomatoes on the fish and broil them in the initial broiling); I smear on the mayo/sour cream mixture and continue with the recipe. I sprinkle it with smoked paprika for service. The Absolute Best Fish Ever Recipe©Marcia Lahens 2015. All rights reserved. In tonight’s iteration of the topping, I added chives, lime and blood orange zest, garlic, grated parmesan and lime juice to the mayo/sour cream combination. I had these eensy capers, so I didn’t chop them, but just stirred them in. 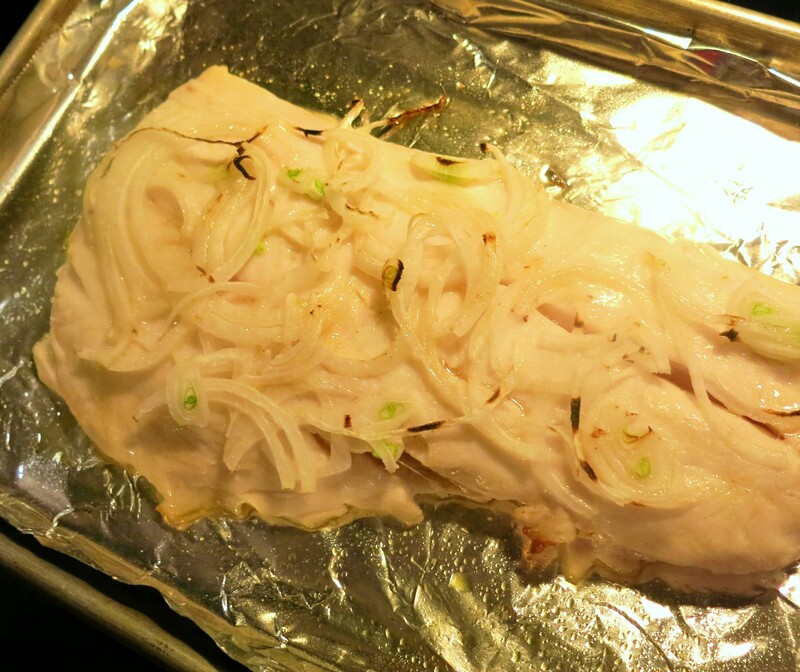 I placed a layer of thinly sliced Vidalia onions on top of the fish, then broiled away. You can lay sliced tomatoes on, too, but not tonight. I broiled this piece of fish for 6 minutes, but I checked it at 5 minutes. Just before serving I usually dust each portion with smoked sweet paprika for both color and flavor, but not tonight. Instead I served wedges of the blood orange on the side to squeeze over the fish, if desired. Blood oranges are beautiful and they have an interesting floral aspect with a nice sweet-tartness going. So that’s dinner tonight. 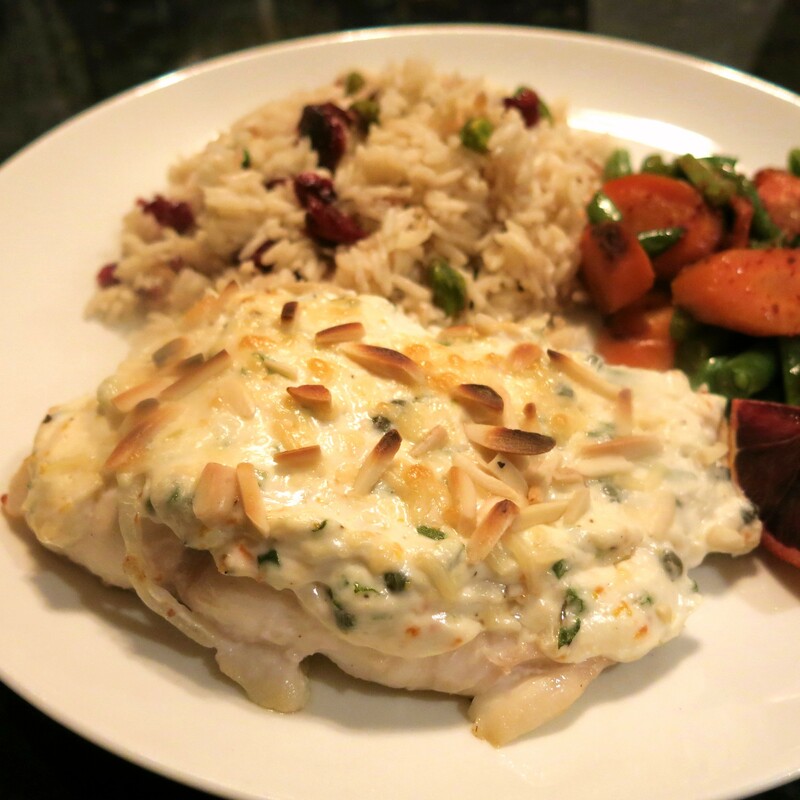 This is the perfect Lenten dish, it’s a great company dish and a really great way to introduce fish to your children. HINT: You can grill this fish and not have it stick to the grill. 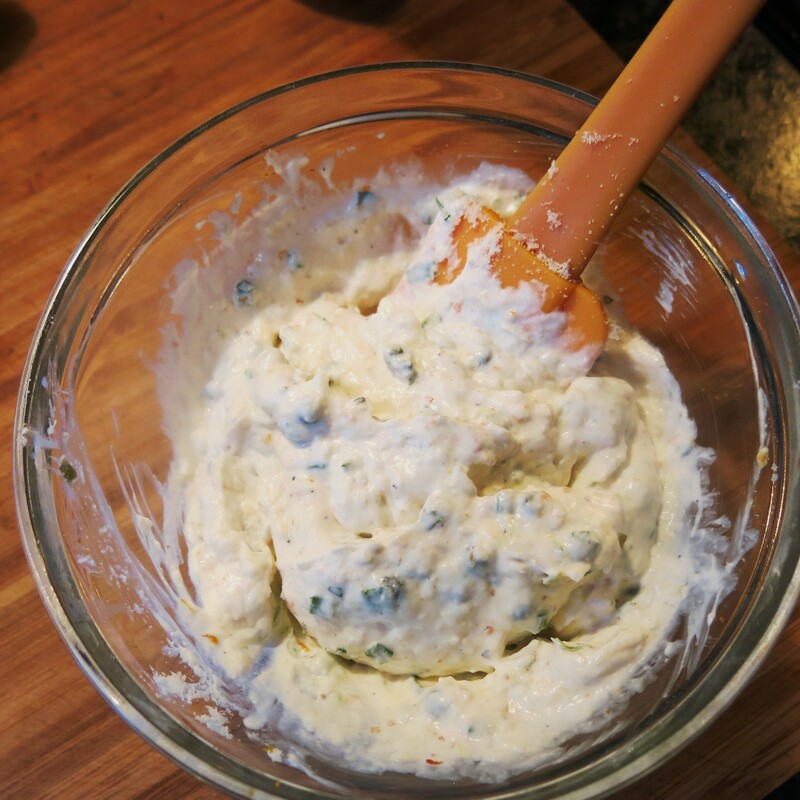 The solution is mind-numbingly simple…mayonnaise! 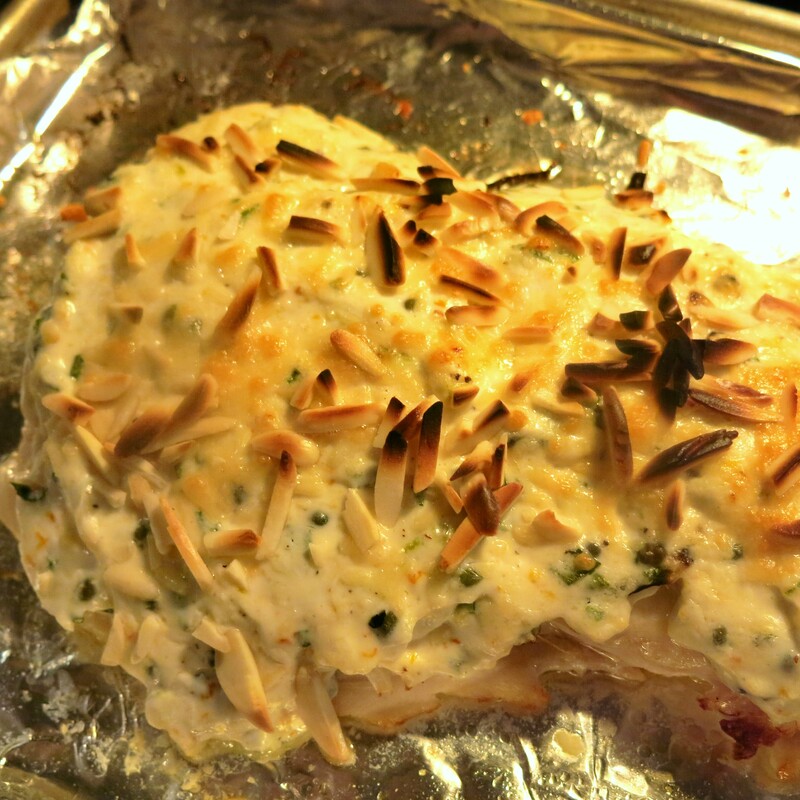 I discovered this by accident, when I decided to grill this fish (cod loins) instead of broiling…July is just too hot to heat up the broiler! And the fish, magically didn’t stick. So I tried it again with salmon, painting on just a skim of plain mayo and it browned, but no sticking. In this case, brush one side of the filet with a thin coat of plain mayo; grill mayo-side down. This will work for a thicker cut. You can try to grill sole or any other thin filet, but it’s difficult and it cooks almost too quickly. You’ll want the filet to be at least 1/2-inch thick. Before you flip the filet, brush the top with a film of mayo and flip. For this recipe, now I add spread a thicker layer of our flavored mayo over the cooked side; I use an off-set spreader for that. Finish cooking the filet and serve immediately. If I add the nuts, I use toasted nuts and if the mayo doesn’t brown much, dust it with some paprika. Mayo works better than oil, which never worked for me. If using skin-on fish, don’t paint the skin side, as you want that to stick, so you can remove the filet, leaving the skin on the grill. I think the reason mayo works, is the oil is suspended in liquid and it’s thick enough to stick, rather than run off, like oil. But, that’s just a guess….summer’s coming…try it!